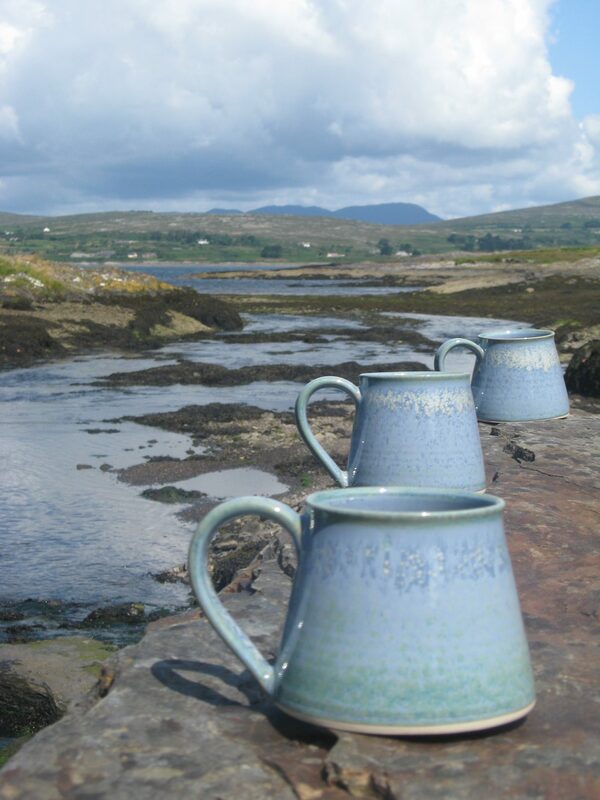 Inspired by living by the Atlantic ocean the blue Ocean collection is the longest running of the three ranges. The ingredients used in the glaze really play on the surface resulting in blues with white crystals and sometimes greens coming through. The effect of this results in a glaze that evokes of the character and movement of the sea. Traditionally blue is a favorite colour for tableware and this evident in the Dunbeacon Ocean collection being our most popular range. Every item is individually glazed by hand, two things are never the same. This finish all depends on how the glaze has been applied and where the item is placed in the kiln. 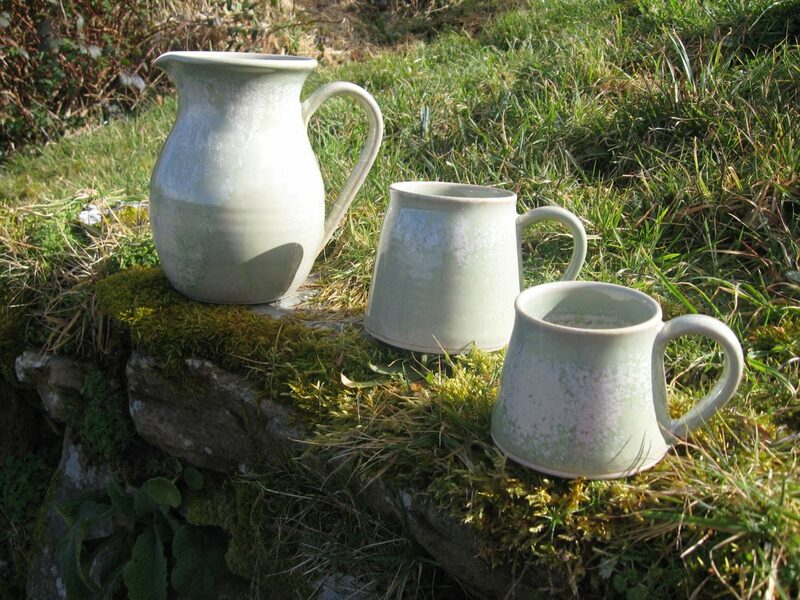 All three ranges have the same base glaze and this results in the three ranges working beautifully together. The Woodlands collection was named for the ancient woodlands that would have covered this area long ago. The evidence of these woodlands remains today in the abundance of ferns, and things like the bluebells that flower in our garden every spring. The green of this glaze is softer than actual tree foliage but we wanted to honour the memory of the landscape by giving it this name. As with the other collections the finish on each piece has some variation as each piece is glazed individually by hand. Each collection has the same base glaze and this results in how well they work together. 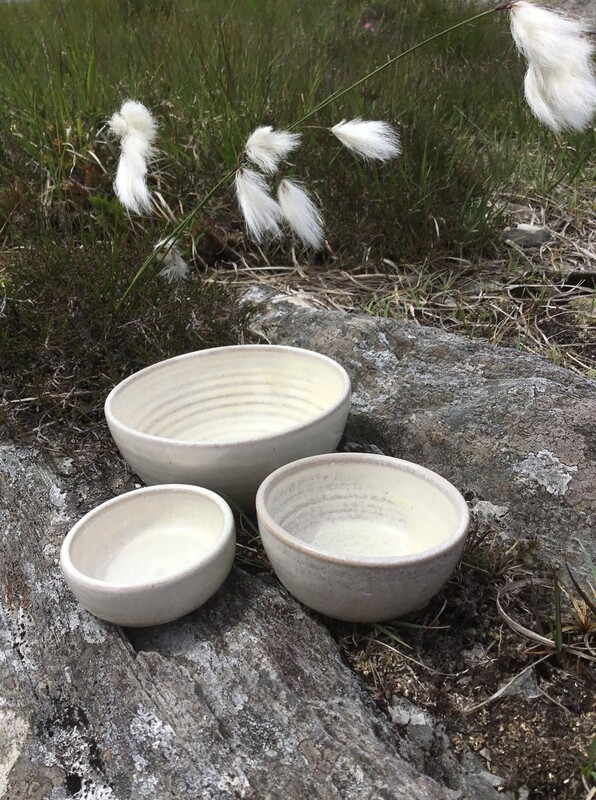 The Bog Cotton collection with it’s off-white finish is the perfect choice for people who like neutrals and for giving a gift as it will tie in with most colour schemes. It is been named for the gentle puffs of bog cotton that grow all over the bogs in Ireland. One of our favorite walks overlooks Dunmanus Bay where the bog cotton is very much part of the landscape blowing in the breeze during the mid summer months. As with the other ranges every item is individually glazed by hand. The finish on this glaze can be be opaque white or can show hints, or more, of colours from greys to beiges to pale pinks, depending on things like depth of glaze and how it fires in the kiln. The Bog Cotton range complements the other collections perfectly.